~ MOONRAKER ... RIP ... END OF AN ERA, FAC 253-A2, MA, P.
** In "Factory Records Limited Edition" promo 'house' case. Disc has alternate 'Rubik's Cube' artwork. "Reconstruction" titled "Remix". *** Titled "Sugar Cane EP". 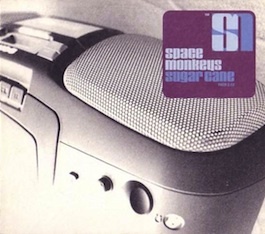 Notes: Promotional boxes of sugar cane (11x9x5cm) were issued with FACD 2.53 catalogue number and full colour design based on the single's artwork.